Matt Groening, the creator of The Simpsons, named many of the characters after his own family such as: Homer (his dad), Margaret (his mom), Maggie and Lisa (his sisters), and Abe (his grandfather). His brother Mark was the inspiration for Bart. 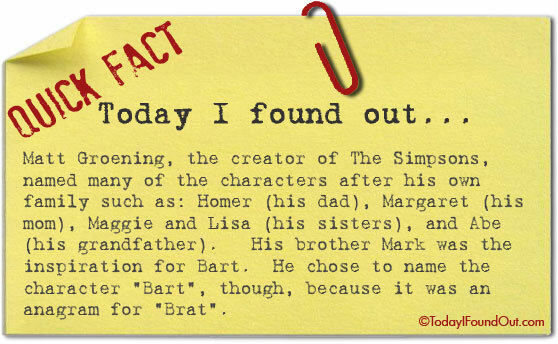 He chose to name the character “Bart”, though, because it was an anagram for “Brat”.